The adipose indices are reported utilizing three sets of information for each line of detail. The first column is the result either as a direct measurement or ratio as indicated in the associated line. The second column is equivalent to the “T score” for bone mineral density measurements or that of a comparison to the young normal. The third column is related to the age matched control (also for gender) or equivalent to the “Z score”. These latter are reported as percentiles as opposed to those specific scores. Total Body % Fat. This is reported as a percentage. For instance a number of 34 would indicate a total body percentage of fat of 34%. 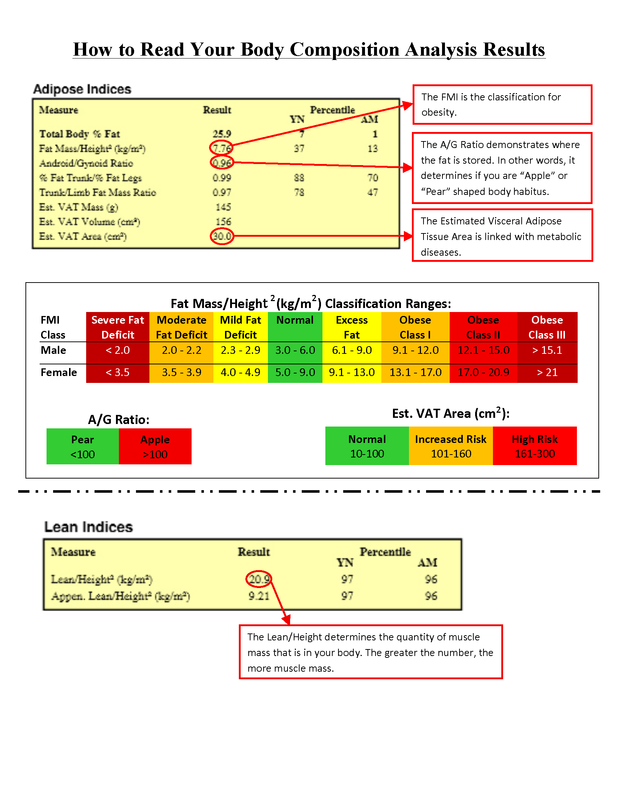 Fat Mass/Height2 (Fat Mass Index or FMI). This is reported as a number that represents kg/m2. This measurement can then be correlated with standards as published in our reports. Android/Gynoid ratio. This is a measurement of abdominal obesity and an indicator of cardiovascular risk. % Fat Trunk/% Fat Legs. This is also presented as a ratio that is an indicator of disproportionate distribution of fat and can be an indicator of lypodystrophy. Trunk/Limb Fat Mass Ratio is also presented as a number with percentile rankings similarly an indicator of maldistribution of fat. 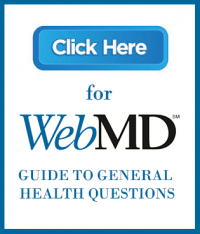 (Lean + bone mineral content (BMC))/ Height2. This is reported as a number that represents kg/m2. This measurement is representative of the lean body mass and may be an identifier of a patient with Sarcopenia (low lean body mass). It may also be useful in patients for serial examinations either in the realm of a weight loss or bariatric program or athletic training to identify progress of the loss or development of lean body mass. Appendicular (Lean + bone mineral content (BMC))/ Height2. 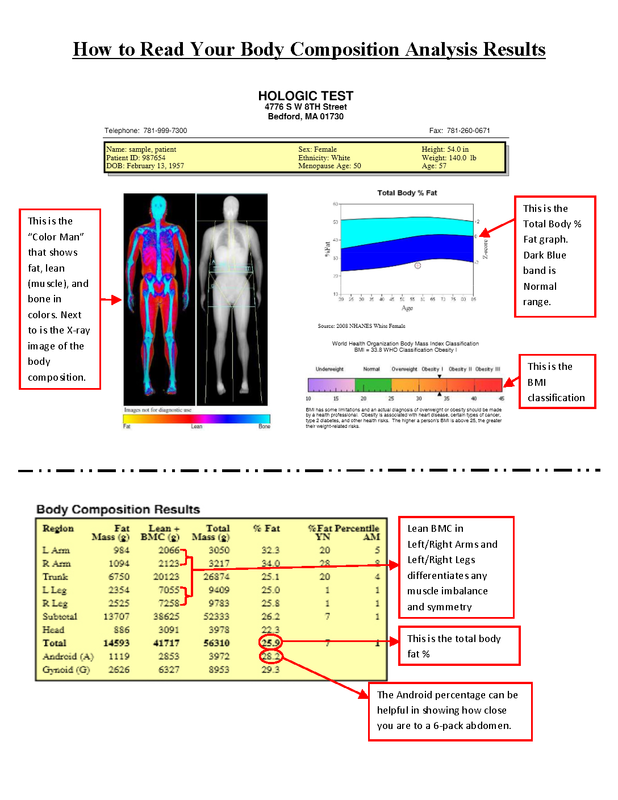 This measurement specifically identifies the lean mass and/or changes in the extremities. This provides more specific compartment information for muscle gain and/or loss in the extremities. 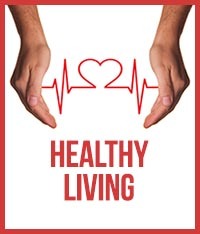 Used in concert, these various indices can be utilized for serial examinations to determine not only changes in fat versus lean body mass, but also where those changes are occurring in the body. In addition to the summarized data, individual reports for different body parts are identified. One of the greatest utilities in this examination are patients who may have a BMI that may show them to be in a specific category, underweight, normal, or overweight/obese but based on their body content may actually fall into another category. For example, a large person with a high BMI that places them in the overweight category may actually be quite lean and muscular. The FMI would then categorize them in a normal category. Another example may be a patient who has a low normal for underweight BMIs but have severe lean muscle mass or Sarcopenia and have a higher fat mass index. All measurements are reported in grams. Those measurements can be converted to pounds by multiplying by 2.2 then dividing the product (total) by 1000.